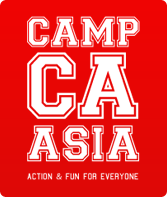 Camp Asia Academy is the sister brand to the no.1 holiday camp provider in Singapore, Camp Asia. Camp Asia run camps at both Stamford American International School and the Australian International School during school holiday periods. We are very proud of the fact that each year, thousands of children attend our weekly camps, experiencing anything from Super Soccer to Super Chef to Lego Robotics. All camps are designed to be fun and action-packed to keep children entertained during the school breaks.